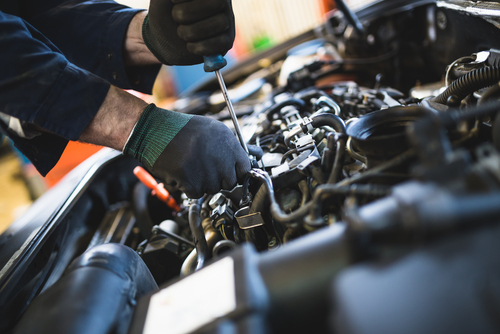 You might be surprised to note that a lot of vehicle owners are not as familiar with the "mechanic language" involved in maintaining a car. Some vehicle owners even find it daunting and perplexing. 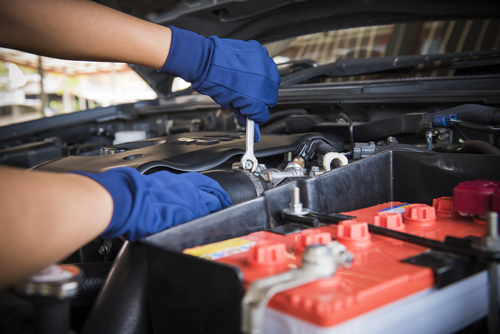 If you own a car, but you have no idea what happens during a car service or when car repairs are done, you must not worry. However, you must still have a good idea of what goes on to know whether or not the mechanic is doing a good job with your vehicle. Essentially, you and a lot of other vehicle owners invest your trust and money in a professional car servicing provider who will perform all the necessary tasks that your vehicle needs to stay safe, roadworthy, and reliable. However, you still need to learn some useful knowledge of what comprises a good car service and how to effectively maintain your car. Car servicing is vital if you want to keep your car in excellent condition. This will also prevent you from spending a huge amount of money in case your car breaks down from the lack of regular maintenance and repair. Regular car servicing can help lessen the cost of the car maintenance and ensure that your car is in pristine condition. What comprises a good car service? For one, a good car service must include inspection and replacement of vehicle parts and equipment. This process involves checking the leads for wear and tear. Your air filter must also be cleaned regularly and must be replaced when needed. The bulbs for your lights must also be working, and the steering must also be checked for response time. Proper automobile repair and service must also include brake service. Brakes are vital for car's safety and performance thus it must be checked for response time, and the brake fluid must also be maintained at the correct level. The mechanic must also check if your brake rotors are due for replacement. Another service that needs to be done is the oil change. 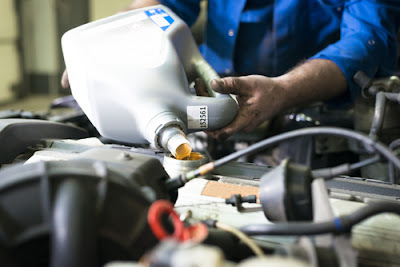 Your car oil must regularly be changed to keep your engine running smoothly, efficiently, and cleanly. If you are considering a professional car maintenance and repair, you must first ask the services included and the costs involved. You must also ask for detailed information about the treatment of your engine, breaks, suspension, and steering, and so on. Of course, you must also keep all the paperwork and documentation involved. 1. Attention: It is very important that you pay the necessary amount of attention to your car. The slightest glitch should alarm you and should propel you into action. But for this, the car owner needs to find a good and professional servicing center and then be committed and loyal to them. Remaining a loyal customer will ensure that the servicing center will pay greater attention to your needs. The center knows exactly what's wrong and how it can be fixed; they know your car better, and hence it becomes easier for them to fix the problem for you. You can also be sure that you get valuable service for your money. *Benefits: Car servicing is a great way to uphold the warranty maintenance for your car. It ensures that any fundamental functioning problems of the car are taken care of before they escalate into permanent damage. Also, regular servicing will ensure that your car reduces its contribution to the carbon footprint and in doing so, you do your bit for the environment. Many car service centers offer packages that allow you to get your car serviced without being directly involved in the hassle of driving your car to and from the service station. The professionals collect your car from your doorstep, perform the required procedures on it and return the car at night. They also provide monitoring reports over this whole period which allows them to have better control on the cost factor. * Cost: This brings us to an important aspect, and that is expenses. Some car servicing companies might seem a bit expensive, particularly if added to all the other costs that come along with owning and using a car. In the long run, however, the benefits of using the services of a company with a high reputation can be beneficial and worth much more than not using maintenance services at all. Car Servicing is essential, and its importance cannot be stressed enough. It is the responsibility of the owner to make sure you keep your car in perfect condition. In every way, to keep your prized possession working well forever, a periodic servicing and maintenance are essential. With that said, you must visit a licensed and reputable car servicing Singapore shop, which is known to offer unmatched mechanical repairs services professionally. By charging a no-brainer price rates for the servicing or maintenance, they will help the car to work impeccably and smoothly. However many car owners arbitrarily think that handing over their cars to expert mechanics is to while away big packets of money. This concept although sounds true yet to a certain degree. The idea to select a reliable car servicing specialists which are committed to providing blue chip services without costing a fortune is for you to conduct research online and you will get success. A licensed and professional car service center typically is teamed with expert car mechanics to treat your car rightly. These service centers give the understanding that the servicing carried out by auto technicians to your car does have the rich know-how, practical experience about the vehicle. They have earned the notability for offering A-grade services. Getting your car repaired, serviced or maintained by expert hands not only helps a car run well but also enhances its longevity and emboldens your confidence to drive it at full ease. For example, if you are the owner of a luxurious Porsche car in Singapore then there is a leading and smart car specialist Singapore shop to help you with your needs. The expert auto technicians there will walk the extra mile to ensure your car gives an impeccable performance and help to maintain its significance and dependability.